Change up your routine by adding these forgotten-yet-effective exercises to your training. The most effective training programs prescribe some form of the basic compound exercisesâSquats, Deadlifts, Presses and Pulls. Fundamental plyometric exercises, such as Box Jumps and Broad Jumps, are also common. For variety's sake, however, let's dust off some forgotten, yet effective, exercises that deserve a second look. They would be an excellent addition to any training program. The most effective training programs prescribe some form of the basic compound exercises—Squats, Deadlifts, Presses and Pulls. Fundamental plyometric exercises, such as Box Jumps and Broad Jumps, are also common. Back in the early to mid-1900s, the Pullover was an essential exercise. It was to the upper body what the Bench Press is today. It's an effective exercise for building and strengthening the lats, pecs and triceps all at once. Grab a dumbbell or barbell/EZ curl bar and lie down on a bench. If you're using a dumbbell, grip it with both hands on the underside of one end. With a barbell or EZ curl bar, use a shoulder-width grip with palms facing up. Start above your chest with your elbows straight or slightly bent. Slowly reach back behind your head until your arms are parallel to the ground. 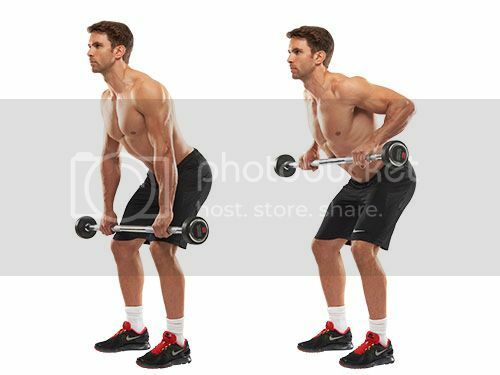 Pull the dumbbell or bar back over your body to the starting position. Two-footed Box Jumps are common in almost every gym, but how often do you see someone doing a Single-Leg Box Jump? How about any kind of Single-Leg Jump? Rarely if ever, I'd say. Single-leg plyometrics can be a helpful supplement to your regular plyometric training for developing power and training force absorption unilaterally. Very few athletic movement occur with both feet on the ground, so it can be beneficial to train single-leg attributes. Let's start with the Single-Leg Box Jump. Check out the video above to see NHL All-Star Henrik Zetterberg's box jump series, including a Single-Leg Box Jump and a Single-Leg Lateral Box Jump. Standing on one leg, perform a quick counter Squat and immediately extend your knee and hip to jump onto a plyometric box. As with all plyometric exercises, use arm drive to assist the jump and try to land as softly as possible. Start with the smallest box and work your way up. Learn more about the benefits of single-leg exercises for athletes. In a single-leg stance, execute a fast counter squat and jump laterally as far as you can. Land softly on the opposite foot and repeat on that side. Be sure to use the swinging motion of your arms to help carry the jump. These are just two of many single leg plyometric exercises, but they're a good place to start. For both, start with 2-3 sets of 5 jumps on each side. The Single-Arm Overhead Press was a staple exercise for the old-time strongmen of the early 1900s. Some of the feats of strength displayed with this exercise were astonishing. It was common for strongmen of the time to Single-Arm Press over 150 pounds. Many athletes today struggle to press that weight overhead with both arms. Like the regular Overhead Press, the Single-Arm Press is an excellent exercise for the shoulders and triceps. However, an added benefit of performing the Overhead Press with one arm is the core engagement required to stabilize the torso. Grab a dumbbell and start at shoulder height. Brace your abs and squeeze your glutes as you press the dumbbell straight overhead. Keep your torso straight and avoid leaning in any direction. Lower the weight back down and repeat. Sets/Reps: 3-4x6-10 on each side. Grab the bar and start in a hinged hip position. Your back should be flat and your torso parallel to the ground, or at least close to parallel. Squeeze your shoulder blades together and pull the bar up to your lower rib cage. The barbell row is commonly butchered because it can be difficult to hold the correct position. If you can't hold the right position, simply replace it with another rowing exercise. For those who can keep the position, the barbell row is a fantastic exercise for building and strengthening your entire backside.